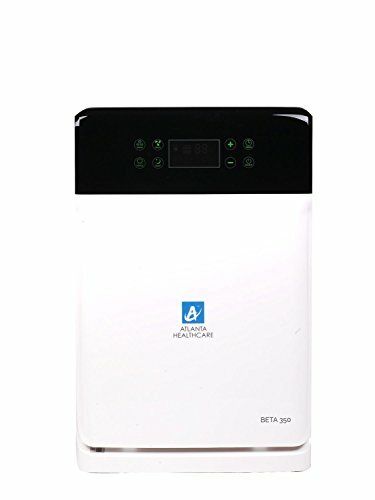 A state of art HEPA Pure air purifier for coverage up to 350 sq.ft. 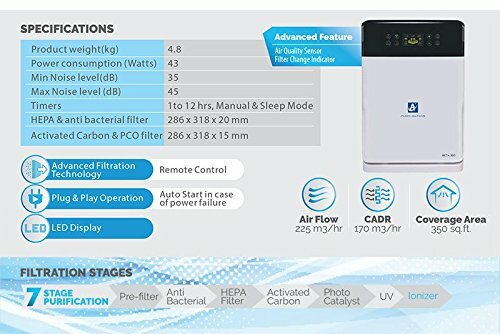 with 7-stage air purification technology that includes pre-filter, HEPA filter, anti-bacterial filter, activated carbon, photo catalyst oxidization, UV light and ionizer. 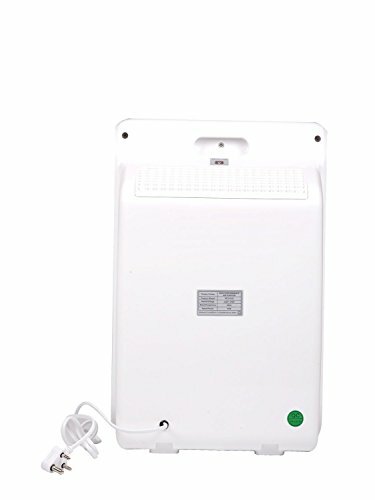 Ideal for homes, hospitals, guest houses, small offices, hotel rooms and doctor chambers. 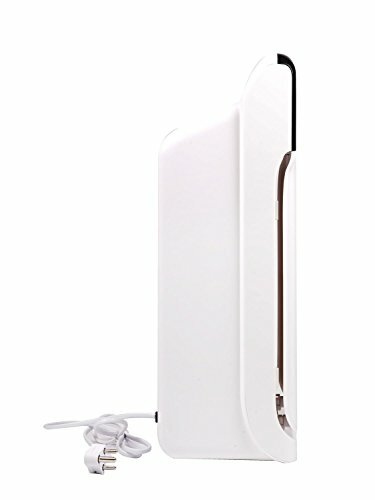 Helps keep indoor air free from dust (PM2.5, PM10), gases, smoke, bad odour, allergens and air-borne infectants. 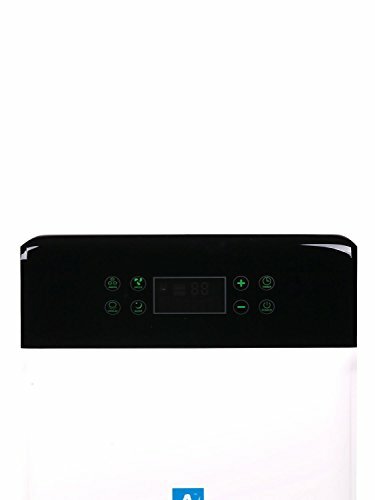 Dimensions of filters : Anti-Bacterial Filter size: 286 x 318 x 20 mm; Activated Carbon and PCO Filter size: 286 x 318 x 15 mm. 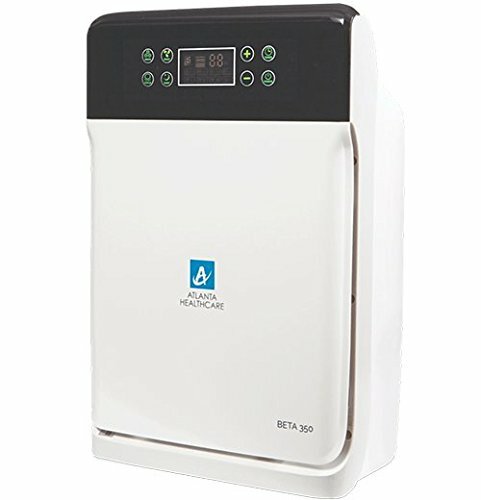 iCluster Technology is Atlanta Healthcare’s unique air puriﬁcation technology which focuses on eradicating various pollutants present in the environment. There are various pollutants in the air that impact human health varying from gases, particulates, bacteria, virus, smell, smoke and other harmful suspended particles. 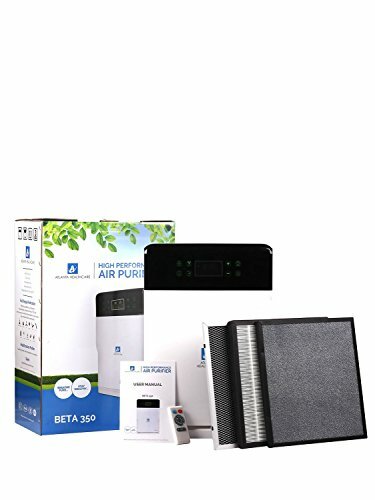 A single ﬁltration technology cannot eradicate all pollutants in the air. For effective puriﬁcation, multi-stage ﬁltration technologies need to work in tandem. 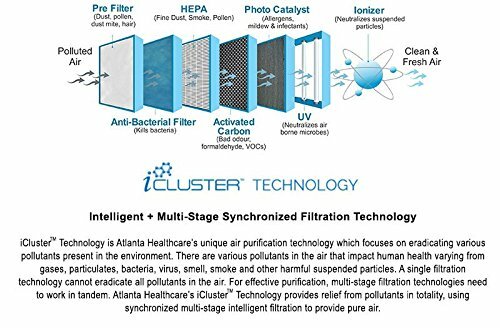 Atlanta Healthcare’s iClusterTM Technology provides relief from pollutants in totality, using synchronized multi-stage intelligent ﬁltration to provide pure air.